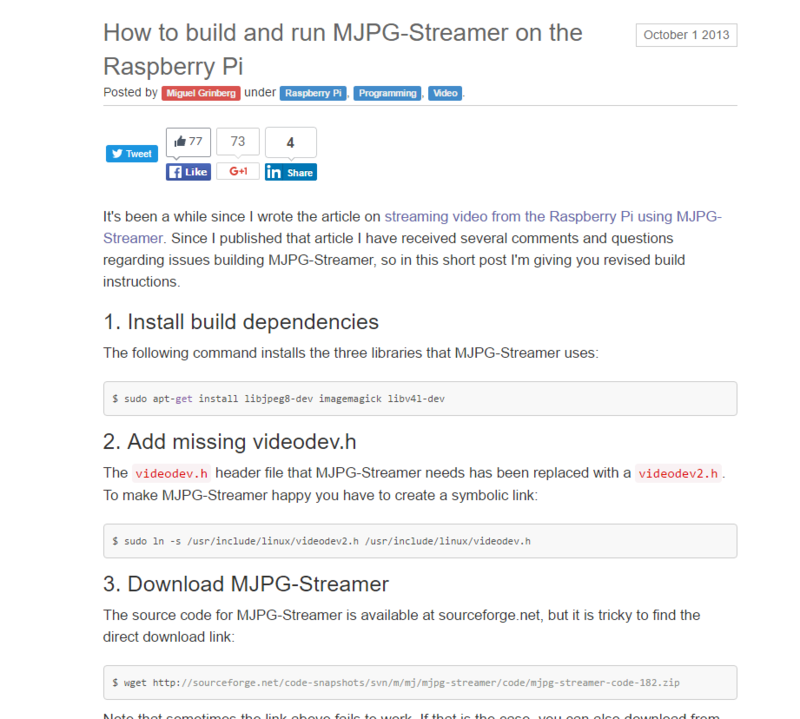 We tried a number of different ways to get the Raspberry Pi streaming video to another device without success. It’s surprising that there’s no easy way to do this. After a lot of research and trying a number of tutorials, I found a tutorial by Miguel Grinberg, which looks promising. Unfortunately, we just don’t have the time to do it today, so it will have to wait for next time.